Ray will be on hand to meet and greet fans and sign autographs from 12 noon onwards. 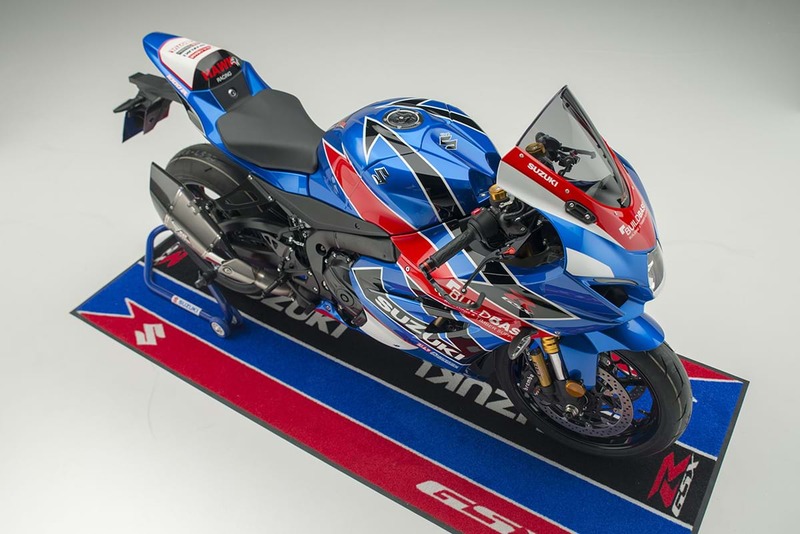 The BSB race-winner will also be signing three Buildbase Suzuki GSX-R1000R replicas purchased via Haslemere Motorcycles. Sticking with the Brad Ray theme, RAGS art has produced a special piece of artwork that the dealership will display and Ray will sign. Also raising money for charity on the day will be a raffle, with proceeds going to Hannah’s Holiday Home, a local charity that provides children with cancer and their families the chance to spend time together in a luxury holiday home. Refreshments will be available all day, along with test rides on a range of models in the Suzuki range and information on all of the Japanese brand’s latest offers, which includes 0% APR finance on the GSX-R1000R and GSX-R125. Haslemere Motorcycles can be found on Petersfield Road in Whitehill, Bordon, GU35 9AR. For information on the Suzuki range, click here. Credit is available to UK residents aged 18 and over, subject to status. Suzuki Financial Services Limited, St William House, Tresillian Terrace, Cardiff, CF10 5BH.